Throughout my life I have suffered from migraines for various reasons. 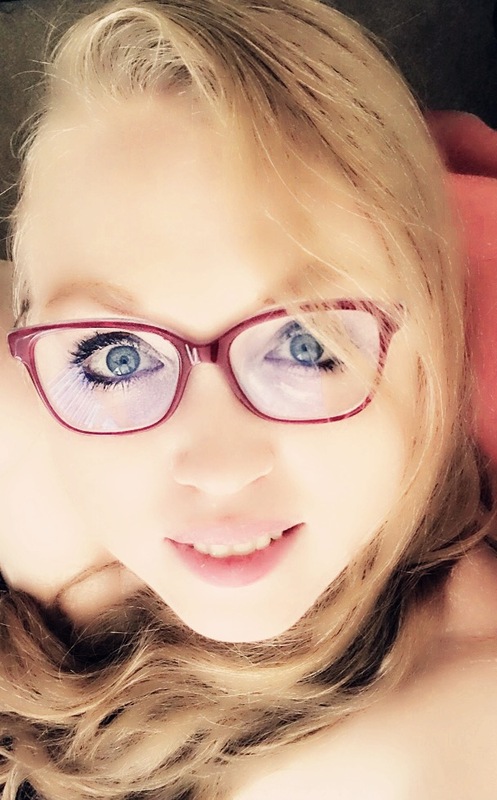 In the past year, with hormonal changes and treatments I’ve been going through, they’ve gone from occasional to frequent. Most people who suffer from migraines know that typical over-the-counter medication won’t really touch a migraine. I personally like to medicate naturally so I turn to alternative methods to make myself comfortable. I decided to provide a summary of my best home remedies for migraine headache pain relief, as well as some easy nutritional tips for reducing migraines in general. The difference between a migraine or headache can be pretty extreme. Although some people will get very bad and even debilitating headaches, migraines are always that way and generally can’t be resolved with the usual head pain meds. The pain is deep and focused, often at the temples, and throbbing. Migraines will usually involve a sensitivity to light that creates a fuzzy aura around your vision and sometimes bright and dark spotting. Having bright lights on or around will intensify and deepen the pain. The pain from a migraine will also increase or intensify when looking at screens, hearing loud sounds, and sometimes moving in general. Severe migraines will often cause nausea and sometimes vomiting unless you can take the edge off and close your eyes right when it starts. Part of trying to cure a migraine is determining what may have triggered it. If migraines are common for you, this may be an easy thing to figure out. I eventually discovered that every time I had a cup of coffee or significant dose of caffeine, I would have a migraine 24 hours after coming down from it. I’d have to continue to drink coffee on a daily basis to avoid the migraines, and when I’d forget I’d immediately get a migraine. These types of migraines can only be truly solved by sleeping them off and then staying away from caffeine. Sometimes migraines happen for seemingly no reason at all or relatively random reasons. Because of monthly hormonal issues, women tend to have chronic migraines more often than men, but men do still get them and quite badly. Knowing what triggered your migraine might help to find a solution to it faster. Locating your trigger can also help you change your habits and avoid migraines in the future. Review the day or two prior to your migraines and you may be able to see the pattern and figure out what your trigger is. Regardless of what your trigger is, dehydration is definitely a part of it. More often than not, dehydration is going to be a big part of your migraine or headache. A majority of people do not hydrate themselves well enough, and when you add things like caffeine, sweating, sodium, medications, hot summers and dry winters, it leads to dehydration, headaches and migraines. When your body is dehydrated, your blood vessels attempt to retain moisture in your body, and are said to retract. 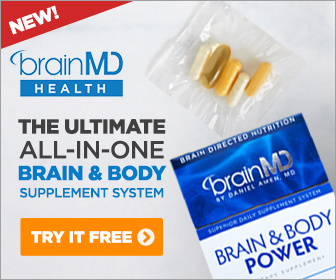 This decreases your blood flow, reducing the amount of blood and oxygen going to your head. It has been shown to be true that this is part of what causes heavy pain in a migraine. The first thing you should do when you feel a migraine coming on is HYDRATE! If you’re dehydrated, drinking water will not be enough. When you dehydrate, you are low on minerals (key ones being sodium and potassium) and your body will not retain the water until you rebalance these minerals. This is how sports drinks came about. They are loaded with salt and potassium to help a person retain water and thereby rehydrate quickly. Unfortunately, they are also loaded with sugar which isn’t great for helping rid headaches. 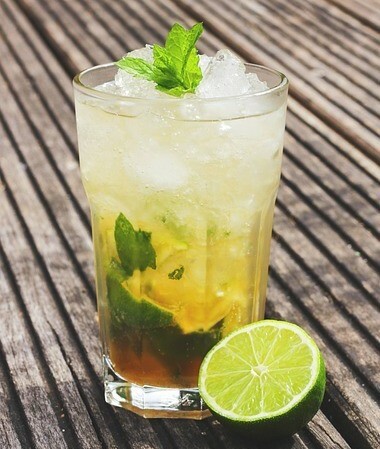 My preferred cure for dehydration to stave off migraines is a delicious and easy drink recipe. If you do not have any of these ingredients, have a banana or lemon with salt. Anything you can do to just increase your potassium and sodium while drinking lots of water will help you to hydrate and get you on to the road of recovery. As a note, sodium on its own can actually dehydrate you if overdone, and you should not eat excess salt against direction from your doctor. From a nutritional standpoint, it is necessary to balance your levels of sodium AND potassium to naturally retain water and hydrate yourself. I can usually tell when I have had enough sodium because my sports drink will stop tasting good. These are my recommendations based on my knowledge as a nutrition student and from personal use. I am not a doctor, but this has worked for me and many others as a natural remedy for minor dehydration. I know a lot of people have their variations on home sports drinks. Please feel free to share yours in the comments section after the article. A lot of time tension and stress will either bring on or increase the magnitude of headaches, turning them into a migraine. Tension headaches are a sign that you really need to relax, but relaxation in general is key to quick recovery from a migraine. Two minerals that are key to have in balance so that your body can relax are calcium and magnesium. Without these basic minerals our bones and muscles become weaker. If you notice your nails getting brittle or your hair getting split-ends, it could be a sign of needing calcium. If you have restlessness at night, sometimes even restless leg syndrome or leg cramps, it can likely be attributed to a deficiency in magnesium. Either one needs to be balanced with the other to help a person fully relax. Deficiencies in calcium or magnesium when you’re under a lot of stress can bring on tension headaches that turn into migraines. If you really want to get into it, I found this great list of foods that have potassium, calcium and magnesium, just add salt and there you go: SELF ARTICLE: FOODS HIGH-IN MINERALS. There are all sorts of ways to naturally get calcium and magnesium into your diet. But if you don’t want to go on a complicated diet recipe hunt, and you want a simple way to quickly absorb some relaxing calcium and magnesium in your system, you can try it my way. I take a single serving of calcium and magnesium powder in a hot glass of Sleepytime tea before going to sleep every night. 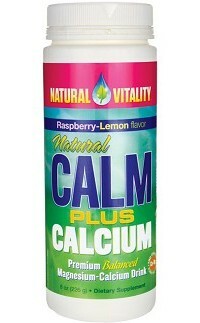 My favorite is Natural Vitality CALM plus Calcium Raspberry-Lemon Flavor. 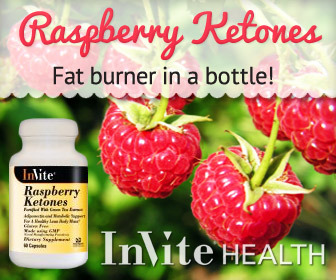 It takes 2 minutes to make, has a decent flavor, and it really, noticeably, works. If you drink this a few times a week (I drink it daily), you will not only reduce the amount of migraines and headaches you have, you will have more regular bowel movements, your muscles will feel less sore, you will have a more relaxed demeanor, and you will get better sleep. Not counting medication side-effects, this helped reduce my migraines overall by half. If I do end up having a migraine, a glass of calcium magnesium tea is the first thing I turn to in order to take the edge off before it gets going. Be careful as the cayenne may irritate your skin so you want to ensure it’s fully diluted and you don’t swab it on your skin too often. That said, the capillaries in your nose will quickly absorb it and open up and you will feel an amazing difference in your headache almost immediately. The smell of peppermint can be miraculously healing. It feels cool and refreshing when you rub peppermint oil on your temples and forehead, but the smell is also really nice. 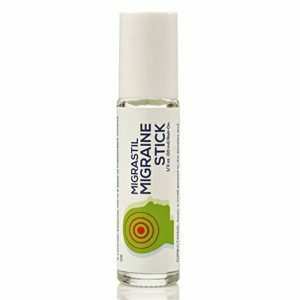 Migrastil Migraine Stick roll-on is a peppermint oil that you can roll on, mess-free. I use it daily on my temples and sometimes under my noise to keep my nausea in check for those hormonal headaches. Headaches and migraines can intensify smells and intensified smells can lead to nausea and even vomiting. I find the peppermint oil keeps me from noticing other smells as much. But use it sparingly and don’t get it in your eyes because it can burn. If you don’t have any peppermint oil, sucking peppermints is also a nice way to curb the nausea, and peppermint or mint tea will help your tummy feel better. Cold can be very healing for a headache. I have a special face mask with little gel beads in it that I can put in the freezer. It really helps when I’m having a really bad migraine. Putting cold on the roof of your mouth is also a quick way to relieve the pain in your head. 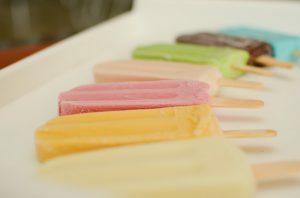 I use popsicles to both make my head feel better and comfort the inner child in me when I’m not feeling well. 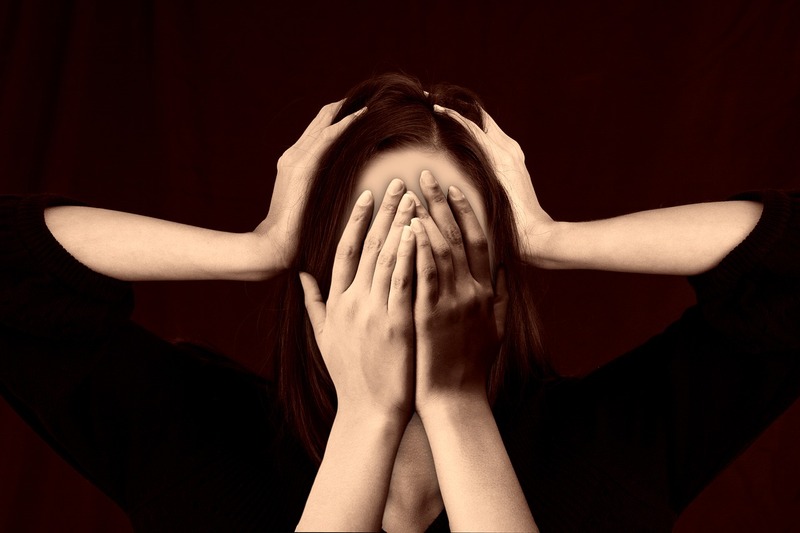 Unfortunately, for most of us, once a migraine is triggered there is no real way to stop it. You can reduce the force and effects, and you can stifle the pain, but otherwise you kind of need to ride it out and often sleep it off for at least a few hours if not overnight. A cool, dark, comfortable and quiet place is the best for waiting out a migraine. I will sometimes lay on the tile floor in the bathroom or in an empty bathtub, if its big enough, with the lights off. I’ll have an ice pack or a frozen gel ice mask (those are the best) and some peppermint oil to rub into my temples. Getting comfortable and trying to sleep is the best thing I can do once the migraine has taken full force. 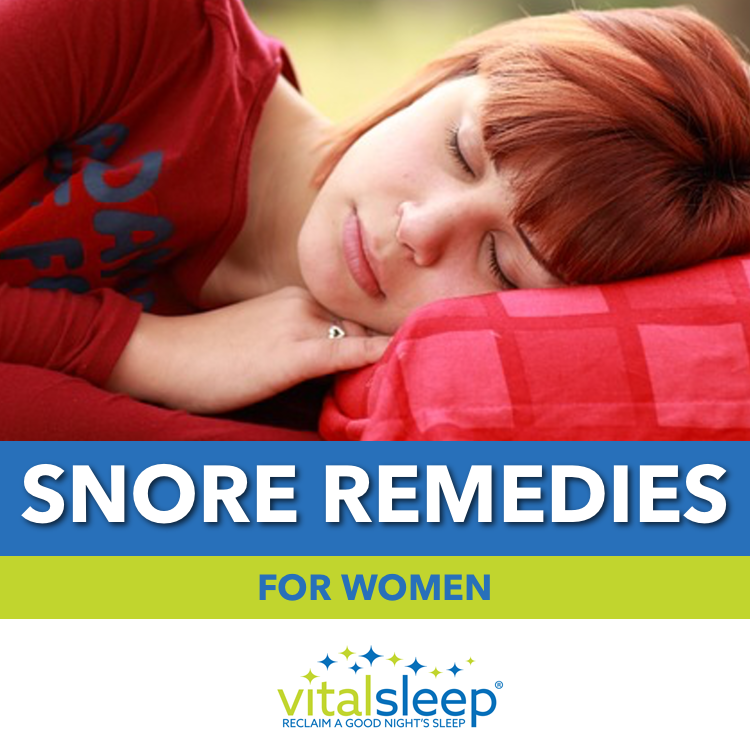 It usually does wear off within a few hours or after a good night’s rest when the body has had a chance to regenerate. If you have a migraine that lasts more than 24-48 hours you should definitely see your doctor. 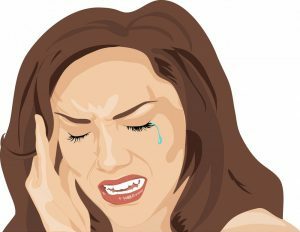 While I am all for natural healing and trying to find alternative treatments to avoid migraine prescriptions with heavy side effects, there are such things as head injuries and medical conditions that can cause migraines and that would require a doctor’s examination, including CT Scan or MRI, in order to rule out. Whatever health choices you make, its always best to consult a health professional whether they are a natural healer or in a medical practice. What are some of your home remedies for migraines? Comments welcome below! Love the homemade sports drink. Tried it and so refreshing. Some wonderful help here, thank you. Hey I also have headaches sometimes and I had no clue dehydration is main reason for migraines. I know stress can be a huge headache from work or anything. I would choose natural healing as well for migraines, eating banana because it has potassium than later drink water. I liked your homemade sports drink, I will try it and see if it works. Stress is definitely a huge trigger for most people as well, but dehydration is usually a part of it. Part of the problem is all of the drinking options we have these days that aren’t water. I hope you like the drink. Let me know if you make any good tweaks to it! Thank you for an awesome lesson on migraines. 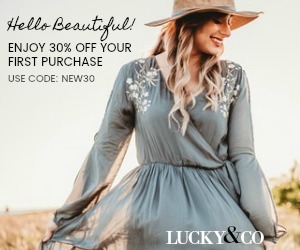 I noticed I get them when I’m in front of the computer screen for too long. I want to try your homemade sports drink for sure. It sounds and looks refreshing. When was the last time you had caffeine? Computer screens are definitely a killer when it comes to migraines. I have been mostly caffeine free since 2009. I will occasionally have a few sips of diet soda and regret it. If I absolutely need a quick pick-me-up I will have green tea because it has only a very small amount of caffeine and is really good for you. I honestly can’t remember the last time though, it’s been so long. It’s just not a part of my life anymore.